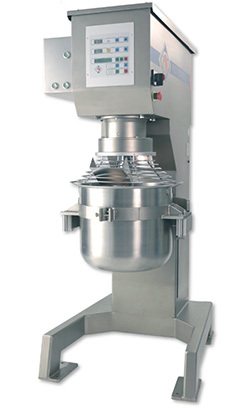 LINE UP｜Roots Trading Co., Ltd.
SM60S is an innovative machine which enables complete automatic programming of various movements of whisk. 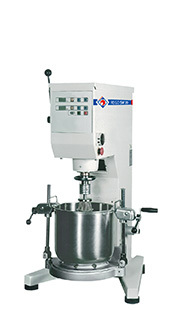 Perfect for chefs who need stable paste preparation with 60L bowl. 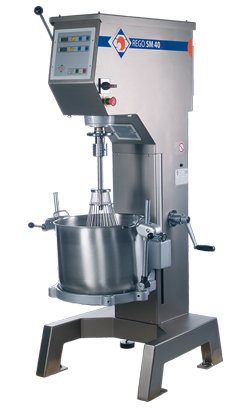 Even with bigger amount, 60L, SM60S accomplishes to the delicate paste and fast emulsification by planetary movement with angle variation. You can switch ‘beating’ and ‘stirring’, or register precise setting of angle of the whisk, speed and time period easily by display panel. You can register 37 kinds of preparation programs in advance, and you can repeat the same program from memory function. Maximum 20 steps can be registered for one program. Addition or editing is also possible. *2 : Cream paste, madeleine, financier, praline paste.